In late 1996, when I first introduced myself to my academic mentor at the Institute of Asian Studies in Chennai, the late Prof. M. Shanmugam Pillai, he commented that, with my background and network of contacts among scholars and devotees, I could easily organize an international seminar on Murukan. It was this casual observation of Prof. Shanmugam Pillai that ultimately launched what has come to be known as the International Murukan Conference Series, of which the present Conference is the Third. Indeed, I had already floated a similar proposal earlier in Sri Lanka, where it died for lack of support. With Prof. M. Shanmugam Pillai's encouragement, I took his suggestion straight to Institute of Asian Studies Director Dr. John Samuel who—to his lasting credit—endorsed the concept and offered his Institute as the host venue, provided that I would accept responsibility for organizing it. I consented and proposed late December 1998—nearly two years later—as the suitable dates for such a conference-seminar, when most academics would have holidays, during a season when the climate in South India is most refreshing. 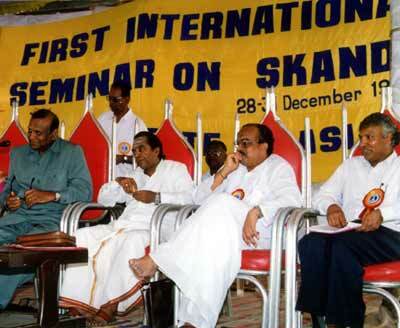 At the time, Prof. Shanmugam Pillai had asked me how many qualified scholars I thought could be found who would agree to conduct research on some aspect of Kaumara studies, write a publishable academic paper, and present it at the First International Conference-Seminar on Skanda-Murukan, as we proposed to call it. Our initial estimate was that 30 to 35 qualified scholars could be persuaded to participate. At that time, no international seminar devoted exclusively to Kaumara studies had ever been conducted. Few scholars of international repute were specialists in the field. And the most senior of those few, like Prof. Kamil Zvelebil, lived reclusive lives in semi-retirement and were unlikely to agree to undertake a strenuous journey to India to participate in an admittedly experimental seminar for a few specialist scholars. So we had some doubt as to whether an adequate number of interested scholars could even be found. Our initial intention was to bring together research specialists in Kaumara studies for three days, during which each would have an opportunity to present his or her research findings and hear the comments or criticism of those present. Based upon the feedback from their peers, participants could reformulate their research papers. The Institute of Asian Studies would then publish the papers under one cover as a reference volume for Kaumara studies. The Conference-Seminar would consist of small, closed sessions, and would be strictly academic in character. We hoped that the event, together with the release of the reference publication, would give a needed boost to the neglected field of Kaumara studies. Somewhat later, we set up a Murukan Conference planning committee consisting of Dr. John Samuel, Prof. M. Shanmugam Pillai, Prof. P. Thiagarajan and myself. Dr. Samuel was the Chairman; I was the Secretary responsible for implementing the committee's decisions. One of our early decisions was that some of those invited should also be non-academics, like swamis and heads of adheenams, who possess specialized knowledge outside the usual range of university academics. At first the response to our invitations was sluggish. Two years, after all, was farther ahead than most people care to plan. But we were patient and determined to pull off a successful event that would set a precedent for more such future events. One innovation that set the First Murukan Conference apart from other conferences—aside from the innovative nature of the Conference itself—was our intensive use of the Internet and information technology. At the time, most academic institutions in India—even some large universities—had hardly entered the Information Age. Those with computers were using them merely as new-fangled typewriters only, without tapping the computer's ability to network across the globe through e-mail and the World Wide Web. We demonstrated to our colleagues in India and abroad that academic events—including academic publications associated with them—could now be organized far more efficiently by leveraging the power of Internet and e-mail. As soon as Dr. Samuel pledged his Institute's support, I set about drafting documents and invitations describing the proposed Murukan Conference: its aims and objectives, possible list of participants, and possible topics for research, and submitted them to the Organizing Committee for approval. With Committee approval, we divided the potential invitees into two categories: those who had known e-mail addresses, and those (the majority) who did not. We knew we could save time and expense by using e-mail to contact as many of the invitees as possible. By contacting the Librarian of the South Asia Library at Colombia University in New York, I was able to obtain the e-mail addresses of a large number of South Asia scholars—mostly based in North America. Among scholars outside of North America and Europe however, e-mail was still a rarity in 1997. So we relied heavily upon old-fashioned mail to send printed invitations. Later in 1997, in the course of my research and publications about the pan-Indian god Skanda-Murukan, I began to publish articles about the deity and His worship on the Internet, and later created the official web site of the Institute of Asian Studies as well. The meeting point of these two sites was the Murukan Conference web site.  The Murukan Conference web site was born. Suddenly, here was a humanities conference happening in India where anyone in the world with a connection to the Internet could log on to a digital bulletin board, read all about the Conference, and even submit an online registration, without waiting for weeks to send an enquiry by mail and wait for reply. Participants could even view the Conference schedule before it was available in print. In that sense, the First Murukan Conference set a new standard for efficiently organizing international humanities conferences in South and Southeast Asia. 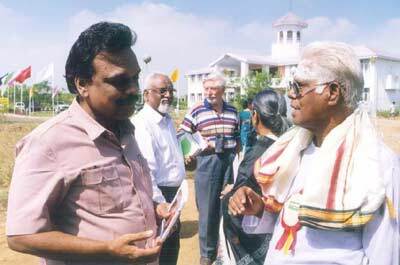 Also from early 1998 onwards, news of the Conference was beginning to filter out to the Tamil academic community in general. As a result, many Tamil academics from other fields began to come forward with proposals for papers, including many from outside of Mother India. The increasing number of applicants from outside the field of religious studies and Tamil literature posed a dilemma. While experts in their own respective fields, they were not dedicated specialists in Kaumara studies, as the Conference-Seminar was originally intended. If conditions for admission to the Seminar were relaxed, and many more participants admitted, then the time given per participant to speak would have to be reduced, or else parallel sessions would have to be introduced, which would spread the audience over multiple venues. Either way, scholars would have less time to speak, and/or the audience would be broken up over multiple venues. This would especially disappoint scholars who were coming from abroad intending to present their papers to a select audience of academic peers. There were some heated discussions over the relative merits of a smaller, specialized seminar versus an enlarged conference open to anyone who wished to participate. Finally, the Chairman Dr. Samuel ruled that the Conference policy—for better or for worse—would be to accept all papers from specialists, non-specialists, and the general public alike. We would aim to attract the largest number of registered participants, and open up the Conference to the general public as well. A large turnout, it was hoped, would attract greater public notice and give a much needed lift to Kaumara studies in India and internationally. During 1997, most organizing and routine secretarial work fell upon the shoulders of the Conference Secretary. 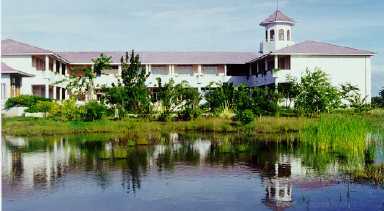 But from early 1998 the entire Institute of Asian Studies, from the Director and faculty down to gardeners and sweepers, began to become more and more involved in the day to day planning and preparation for the Conference. The burgeoning response to the Conference announcement now meant that our Institute's name and reputation was at stake. The Murukan Conference had to succeed! Our foremost concern from the start centered on obtaining sufficient funds to stage the Conference. From the outset we had invited—and were anticipating—a turnout of around thirty or so participants. Working with that figure, we reckoned that we could raise enough funds through donations to invite scholars to participate without charging a fee. After all, those scholars would all be conducting months of research and submitting specialised research papers, besides having to bear their own travel expenses from abroad. We felt that we owed it to these scholars to receive them with traditional—i.e. free—Indian hospitality. In the best Indian tradition, the Institute of Asian Studies had pledged that all Conference participants would be provided with meals, accommodation, local transport, a souvenir publication, and even an added six-day bus tour of Lord Murukan's famous Aru Padai Veedukal—all at no charge to the participants. Even when only thirty participants were expected, this was already a sizable undertaking at considerable expense. As the Conference dates approached, however, the cut-off date for registration was pushed back further and further, and every proposal was accepted without much question, until the number of participants exceeded one hundred. Finally, some 134 participants registered from 23 countries across six continents. Four times the original number of participants meant four times the cost. Instead of three days only, we had to add a fourth day to the schedule to allow everyone to speak, even for only a short time. An entire seaside resort facility had to be rented to accommodate participants and observers, and shuttle bus service provided to and from the Conference venue. A huge permanent stage had to be constructed on the Institute grounds to accommodate the grand opening and closing ceremonies, as well as the daily evening cultural performances. The costs were becoming astronomical by the scale of past conferences in the humanities. Yet throughout we remained steadfast in our pledge to offer free registration and hospitality to every participant. Thanks to the untiring efforts of Conference Chairman Dr. John Samuel, the Institute of Asian Studies managed to obtain unstinting state and private patronage, sufficient to meet all expenses in a trimmed-down economy budget. That fact remains as one of the Institute's—and Dr. Samuel's—great achievements. I need not go into much detail about the staging of the First Conference itself, since so many hundreds—some say thousands—of Murukan scholars and devotees were there to see it with their own eyes and tell of it to others. No doubt, it had its shortcomings, most of which were not unanticipated. Despite the best efforts of an army of young volunteers, it was difficult to find out information, if only because it was difficult to position enough knowledgeable people where and as they were needed. The food and accommodation provided were great, but speakers and audience alike complained that there were too many speakers and not enough time allotted for each presentation. 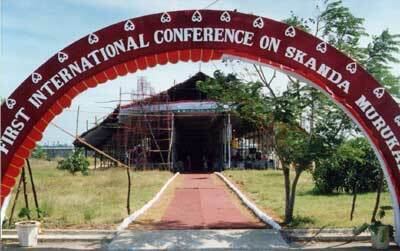 There were so many people and organisations involved in the planning, funding and staging of the First International Conference Seminar on Skanda-Murukan that it is impossible to mention them all by name. The Conference souvenir publication, however, is still available and gives a good account of many of those whose support and participation made the Conference into the outstanding achievement that it was, even considering the difficulties, shortcomings and controversies associated with the Conference. To date, with the encouragement of Dr. Samuel and the help of a distinguished board of associate editors, I have edited and laid out for publication nearly fifty research articles from the First Murukan Conference out of over a hundred that were submitted. These have already been made public on the Murukan Conference web site www.murugan.org. The eventual publication of these articles as a reference volume for scholars and libraries will be a welcome contribution to the field of Kaumara studies. Speakers at the Third Murukan Conference in Kuala Lumpur included Conference Special Coordinator Patrick Harrigan, who addressed the inaugural function in Tamil. Equally, or perhaps more importantly, a unanimous decision was taken at the First International Conference Seminar on Skanda-Murukan to organize such conferences regularly and to give encouragement and support to Kaumara studies. The largest foreign delegation of 25 scholars from Sri Lanka led by the Hon. S. Thondaman, proposed that Sri Lanka be the host nation for the next Murukan Conference. Unfortunately, due to the sudden demise of Hon. S. Thondaman and the uncertain security situation in Sri Lanka at that time, Sri Lanka could not host the Second Conference, which was instead hosted by Mauritius in May 2000. The Third Conference in the Murukan Conference Series, graciously hosted by Malaysian devotees, builds upon a remarkable record of achievements and establishes the Conference Series further as the principal focal event that brings together Kaumara scholarship and devotion under one umbrella. We salute the Malaysians for their efforts to host this great event. I sincerely hope, along with Sri Lankans, that the once troubled but now peaceful island of Ilankai may at long last host the Fourth International Murukan Conference in the near future, and that the Series may thereafter return to its roots in South India, at the kind invitation of the administrators of Arulmigu Dandayudhapani Swami Devasthanam, Palani. Finally, may I be permitted to remind participants and readers alike that scholarship for the sake of mere scholarship—learning for the glory of learning alone—was never the aim of traditional Indian scholars. Rather, in the context of authentic Indian scholarship, one should aim for atma vidya, jnanam, and anugraha or arul for onself and others. That is the need of the hour, and the greatest service a scholar can do for humanity.